Chelsea have been the punters' pal in the Premier League and the reliable favourites should overcome Burnley at their Turf Moor fortress. The Blues are unbeaten in their last 25 Premier League matches when rated odds-on favourites, winning each of their last 12 games when chalked up at below evens, which is the case in Lancashire. 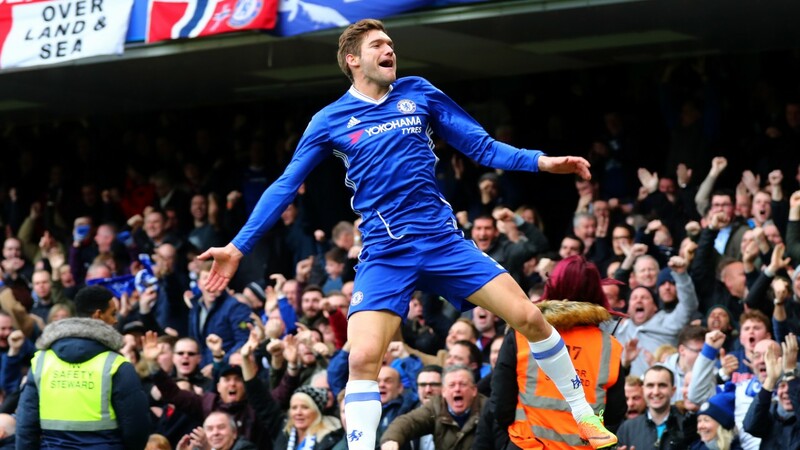 Antonio Conte's leaders have racked up a significant advantage at the summit to such an extent that BoyleSports declared the title race over and paid out on Chelsea following last week's 3-1 win over Arsenal. It was Chelsea's 16th top-flight success in 18 outings since switching to a three-man defence and the only dropped points came in a loss at Tottenham and draw at Liverpool. Burnley have been brilliant at home and can't be underestimated but the ruthlessness with which Chelsea have gone about their business suggests an upset is even less likely than the odds suggest. However, rather than lumping on the leaders at short prices it may pay to take them to win by one goal - something Chelsea have achieved in half of their eight away successes. The narrow triumphs at Middlesbrough, Crystal Palace and Sunderland highlight just how comfortable Conte is when defending a lead, which makes sense with David Luiz performing brilliantly at the heart of a well-organised Blues rearguard. N'Golo Kante offers excellent cover in midfield and up front there will always be chances created by Pedro and Eden Hazard for Diego Costa. There is also Cesc Fabregas and Willian waiting in the wings if Conte wants to rotate his squad. Burnley don't have anywhere near that kind of squad depth and they have injury problems in midfield that could mean a new central partnership with Joey Barton alongside Ashley Westwood. That's not ideal for a Clarets outfit who have accumulated 28 of their 29 league points at Turf Moor. Liverpool were turned over there earlier in the season but Arsenal and Manchester City landed one-goal victories with another narrow reverse the most probable outcome against Chelsea. Close defeats has become something of a trademark for Sean Dyche's battlers with each of their last five losses being by the odd goal and four of those finished 2-1. That includes defeats at Arsenal, City and Tottenham and last week's loss at Watford showed just how much effort can be dragged out of a limited group of players given Burnley had to play 84 minutes with ten men. Burnley have kept five clean sheets in their last six at home but Chelsea have scored in 27 of their 29 games in all competitions under Conte and can move one step closer to the title. Jeff Hendrick is suspended, while Steven Defour and Dean Marney are injured. Antonio Conte has a full squad to choose from.